Cleaning carpets in your home can be for various reasons; in preparation of a big event or occasion scheduled to take place in your home, the need for Carpet cleaning or to get a particular stain or smell out. Whichever the case, choosing to clean your carpet is wise, and even though it is often considered a tasking job, it is not as hard as it seems. There are many ways to clean your carpet; some of these methods involve plenty of work, and this is why people are often uninterested in them. There are, however, many other ways to clean a carpet without really going through too much stress. With professionals, these methods are pretty easy to execute and accomplish. However, if you are planning to do it yourself, then you should consider the deep clean method and to know how to do that, you should continue reading this article. 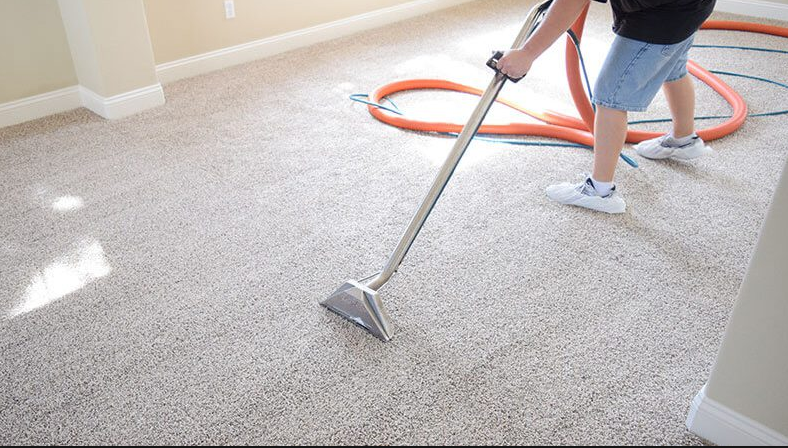 The first step for cleaning your carpet is to get rid of everything placed on floors to avoid any form of an obstacle to the cleaning process. Ensure to remove all toys from the carpet floor, books, clothing, etc. The thing is, where there are little children in the home, it is very likely that these things are going to be found lying indiscriminately around the house. It means, your first task would be to pick them up and arrange them in their appropriate positions in the home. Getting your carpet cleaned without taking it out of the home means you’ll have to do a lot of moving within the house. The major things in the home that would need to get transferred are the furniture in the home. Because they occupy a considerable amount of the space of your home, they would require to remove for your cleaning. After removing the furniture out of the way, the next thing to do is to vacuum the area that you hope to deep clean. Vacuuming helps remove small obstacles which may not be visible. Also, it is an excellent way of removing dust and other particles from the surface of the area which you intend to deep clean. After vacuuming, search for stains that have become embroidered in the carpet and apply a solution to remove them. Using a carpet cleaner, clean the carpet effectively. A carpet cleaner is very much like a vacuum which uses steam and a particular cleaning solution to deep clean your carpets effectively. Carpet cleaners are worthy investments for people who have lots of rug in their home or who deep clean their carpet frequently. To use this carpet cleaner, follow the instructions in the model that you are using and ensure to use the specific carpet cleaning solution that prescribed for that particular carpet cleaner. Also, ensure that your cleaning solution is right for your type of carpet and healthy inhalation.